Quite often, our firm is consulted by both landlords and tenants regarding the termination of a lease prior to its legal end date. For example, a lease may have a term which runs through December 31, 2020. In certain situations, the parties may agree to terminate the lease prior to this date. This can happen for several reasons. A tenant may need to move out for personal reasons, or because conditions at the premises are not acceptable. A landlord may decide not to hold a tenant to a lease term if they believe they can re-rent the premises at a higher rent. In commercial lease situations, a business renting a store or other commercial space may decide it needs to close for financial reasons, and wants to return the space to the landlord without a legal conflict. In such situations, we recommend that all parties engage legal counsel to draft a Surrender of Lease agreement. A Surrender of Lease Agreement is a document negotiated between a landlord and a tenant through their legal counsel. It amends the original lease agreement so that the lease term can end at an earlier date than initially contemplated by the parties. There are several important issues which must be negotiated and delineated in such an agreement, which will be discussed in this blog post. The first issue is the date of the surrender. 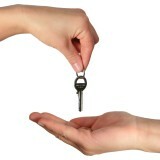 This is the date that the tenant agrees to vacate the premises and return the keys to the landlord. It is standard that the tenant also agrees to leave the premises in “broom clean” condition and without any major damage, just as it had agreed in the original lease. Our firm often recommends that a tenant hire a professional cleaning service to ensure that there are no issues with the condition of the premises after move-out. Another important issue is the remainder of the rent due under the lease. Under a surrender agreement, the landlord usually agrees to forego the collection of rent due after the surrender date, provided the tenant actually vacates the premises. The surrender agreement should explicitly state that the landlord agrees to this condition. In addition, should there be a personal guaranty of a commercial lease, the surrender agreement should also state that the landlord releases the party guaranteeing the lease from all rent and other obligations after the surrender date. The disposition of the tenant’s security deposit is another issue that should be memorialized in a surrender agreement. The agreement should state explicitly that the balance of the security deposit will be returned after the tenant vacates the premises. It is preferred that a specific deadline be stated for the return of the deposit. A landlord should be allowed to inspect the premises within a few days of the tenant’s leaving the premises, and, if there are any damages which should be covered by the security deposit, to notify the attorney for the tenant of these damages within a few days of the inspection. The notification should include copies of receipts or estimates for repair and proof of any payment made. If such notification is not given promptly, then the full amount of the security deposit should be returned to the tenant. Our firm has drafted many surrender agreements, and believes that a well-drafted agreement between a landlord and tenant is essential to avoid court litigation and to ensure the return of the tenant’s security deposit. We welcome all inquiries in this area.